Powerful Bass, without losing space. Pioneer launches another product in its generation of Class-D amplified subwoofers integrating DIGITAL BASS CONTROL. This unique feature generates two selectable Bass Modes: DEEP and DYNAMIC, producing 160 Watts of strong, rich, deep bass that you can feel, without giving up space. Users can easily control and customise the two bass modes directly from the supplied wired remote control, and you can easily mount the TS-WX130DA under the front seats or in the boot. 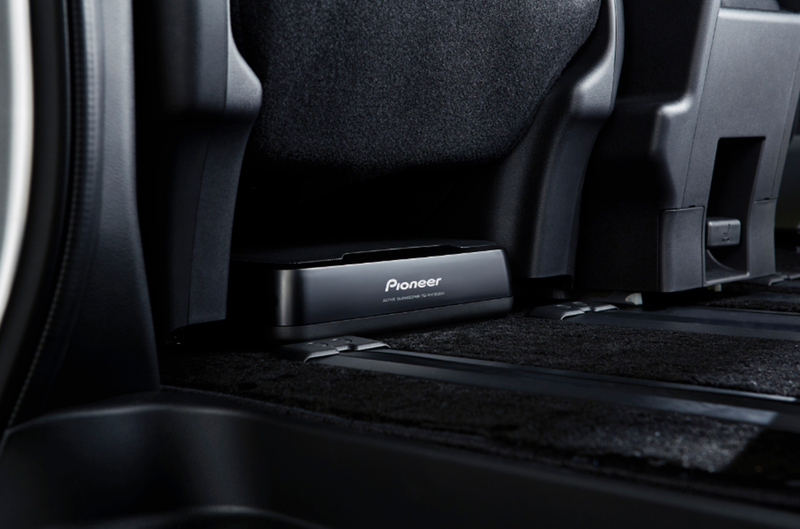 Thanks to the inclusion of Class-D technology, Pioneer’s TS-WX130DA is even easier to install, as it is capable of taking both High (Speaker Line Input) and Low (RCA Line Input) input signals, meaning you can connect it to your aftermarket or original factory fitted stereo, to easily upgrade the sound you have now. TS-WX130DA is a small active subwoofer in a sealed enclosure, delivering 160 W Maximum power and 50 W Nominal Power.